Camille remains strong in her conviction to love Drake regardless of what life has thrown at them. She looks for the positive and tries to find a way out of the mess her family has found themselves in. A family on the run because of a century old death warrant placed on her lineage. Cami finds herself new and unexpected allies who are devoted to helping her despite the uncertainty of their future in doing so. Drake has become the ultimate warrior centaur who has continued to devote himself to Cami’s survival even when he feels that his life is over. It takes a strong willed enemy to pull him back into “reality” to really be everything Cami needs. A woman needs a warrior, lover and friend. Her family remains steadfast and devoted to what Cami knows in her heart is the right thing, even though it could mean the death of the lost herd. I just want to live one day in Cami’s shoes, feel the love around her, the unrelenting passion she feels for her family. She is such a true leader that every woman should aspire to be. Beyond that she has one of the hottest centaurs able to love her and protect her regardless of the danger. This is truly a remarkable book series! Camille and Drake don’t know who to trust or where to hide. Camille’s family is quick to come to her aid, but who among them can be trusted? Camille is on the run from her past…her future and quite literally her present. The one thing she has utter resolve in is her love for her Centaur. He has devoted his life to keeping her from ending up in the pasture, but is his strength enough to save her from the death warrant that was issued centuries ago. The author continues to weave more centaur legacy into her story and incorporating the major Gods. The creativity astounds me. I love the devotion these centaurs show for each other, even when the “love” may not exist. I am excited that more love stories are popping up and that the drama has no ceased. Cami is making her own way in the world and ultimately knows that her mother says it best, she gets to make her own choices and know they were hers. She has bravery, love and integrity like few in this world have. Drake says it best, she has an amazing heart. Her whole life it had just been the two of them. Before her mother’s last breath, she gave Camille the information she had craved her entire life: the identity of her father. Daring to contact him, Camille was welcomed by an entire family she never knew existed. But nothing comes without a price, as she discovers when her family claims a legendary heritage tracing back to a Centaur touched by Zeus. Cami has lived her life essentially in the dark, until her mother passes and her world turns into an alternate universe. 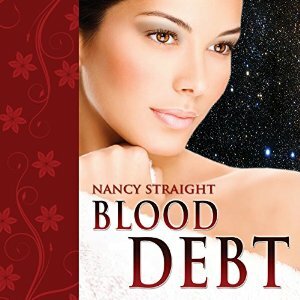 She begins to learn the secrets her mother has tried desperately to keep and meets family she did not know existed. She is thrown into a world where her hopes and dreams are twisted into her worst nightmare. She is sure she has been sucked into an alternate reality, but has she? 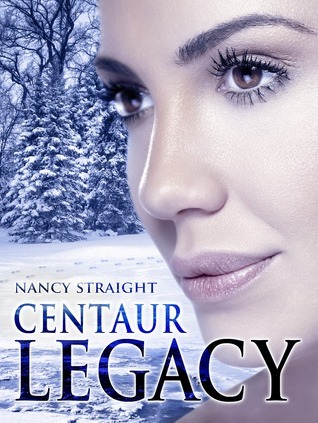 Centaur legend has begun to sink into her, a life she does not appreciate not having been raised with the “proper” way to act, date, live…..her destiny is up in the air and she is left wondering if it is worth seeking out. Cami is a strong, determined young woman who has her mind set on love, life and integrity. She resists the Centaur way of life at every turn with the exception of acceptance of her new family. I love the romantic story meshed into this book. The friendships are strong, the characters determined/strong and personalities are so well developed, I could not stop listening. I cannot wait to see where this story goes. The author has done an amazing job tying centaur legend to the gods, giving this “race” their own skills. I read this in e-book years ago, while listening to this audio book, I was able to really appreciate this story so much more. The narrator has given this book true life. Five fangs from Paranormal Romance and Authors That Rock.